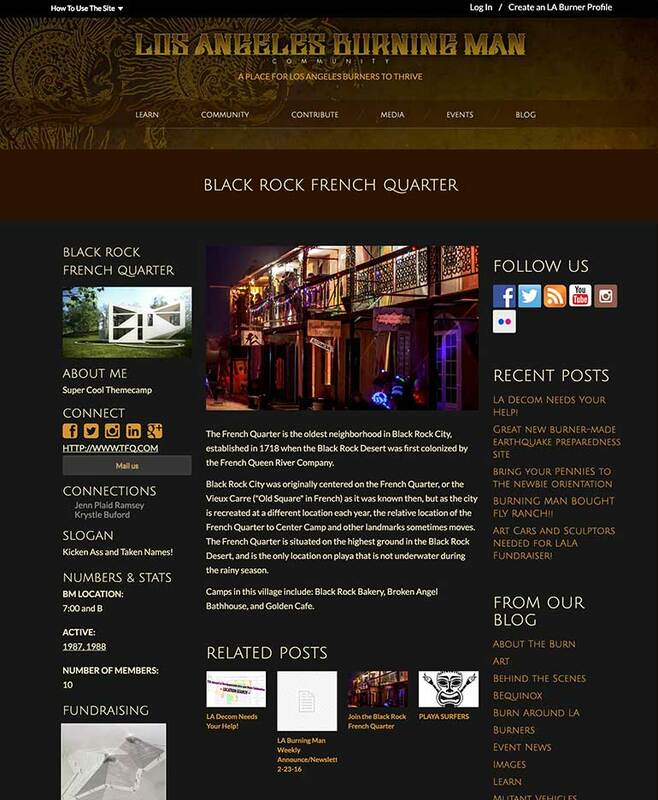 User and Admin generated content WordPress website. 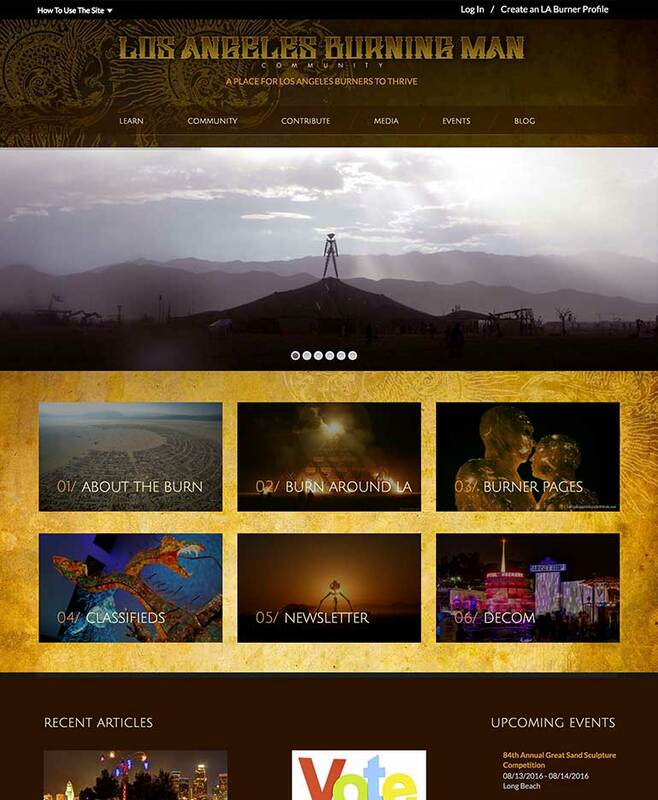 This site is the new place for the Los Angeles Burning Man community to thrive: WWW.LABURNINGMAN.COM! 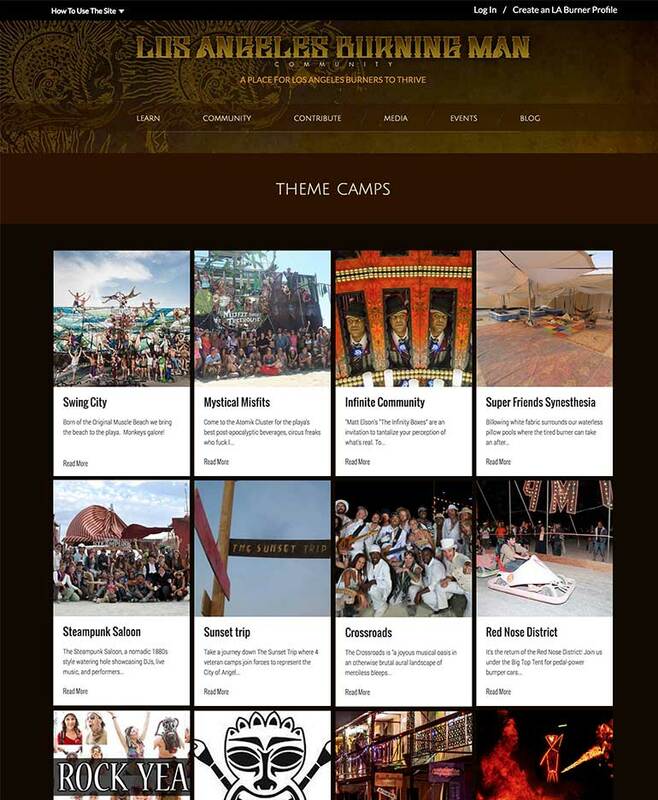 CodeMedia 360 was provided the designs and coded a completely custom WordPress site. Custom page templates, custom post types and custom taxonomies where used as well as customizing plugins to fit the clients needs.